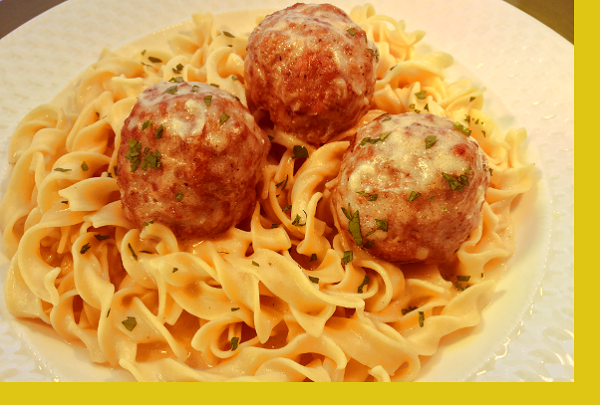 Delicious ground beef and pork meatballs served in a wonderful, creamy gravy over egg noodles. This Scandinavian favorite really deserves to be a timeless classic you enjoy again and again, not just on your Ikea trips! Meatballs: Preheat oven to 400F. Bake for about 20 minutes or until cooked through. Egg Noodles: Bring water to a boil. Boil noodles for about 7 minutes or to desired tenderness. Strain. Reheat gravy and mix in with egg noodles. Not a fan of meatballs in general but because I have never tried Swedish meatballs before... OMG, there were great and full of flavor. Loved them with the egg noodles! I cooked them a little longer than instructed and cut them in half to expedite the cooking. Because I like a browning on my meat I put them under the broiler for a couple of minutes. Quick and easy to prepare. I would order them again. Wow, these were amazing! My kids absolutely loved these meatballs, and I can't stop thinking about them either. Please bring them back again SOON! I do not know why is it called Swedish meatballs, it is a famous Italian dish! Just perfect dinner. 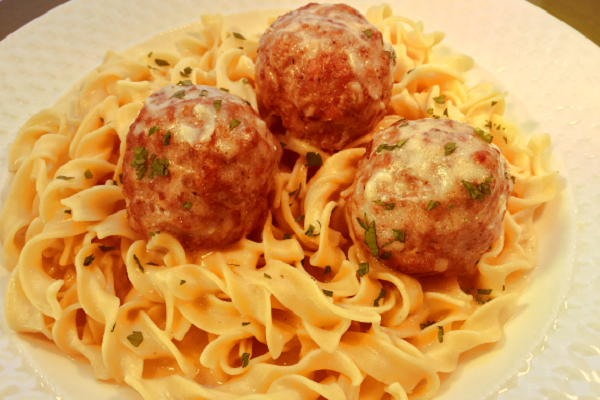 Beef and Pork meatballs baked and served with pasta. We love it!